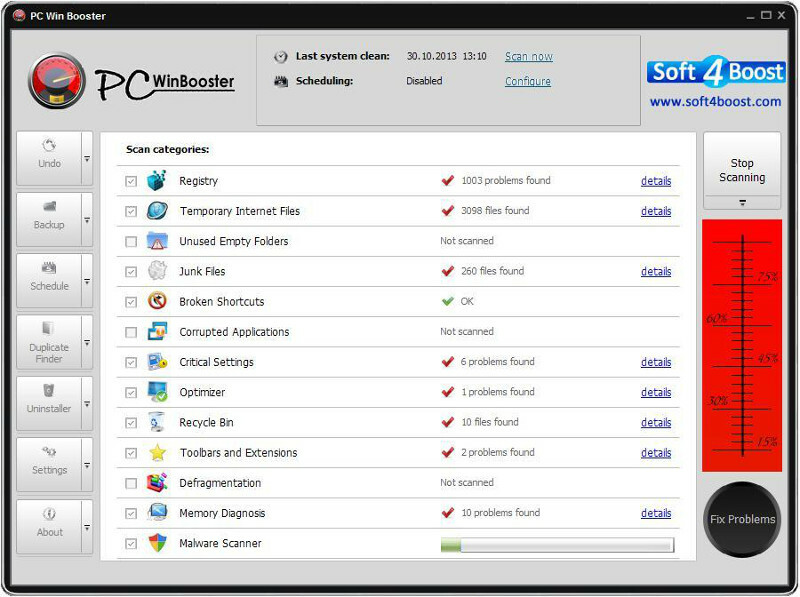 PC Win Booster is a part of Soft4Boost.com package. Register once at soft4boost.com and work with all tools from the Soft4Boost.com package. Subscribe for $24.95/year or $39.95/lifetime. Alternative Flash Player Auto-Updater - Adobe's Flash Player is the key to the internet's most used technology called Flash. Nowadays Flash can be considered one of the internet's basics. Therefore it has always been targeted by hackers, malware authors and so on. WriteYours - Type less - save Your time! WriteYours expand keyboard strokes into frequently-used text. Clear Clipboard - Clear Clipboard makes the windows clipboard empty in less than a second. It deletes the current clipboard contents so the clipboard becomes empty. Clear Clipboard is a useful freeware clipboard tool.